Home » Health A-Z • Live Well » World COPD Day: Are You At Risk Of COPD? World COPD Day is observed on November 21. The theme for 2018 is “Never Too Early, Never Too Late.” It aims to increase awareness about a chronic obstructive pulmonary disease (COPD) and improve COPD care all over the world. Chronic obstructive pulmonary disease (COPD) is a life-threatening lung disease. It is a major cause of morbidity and mortality across the world. According to the World Health Organization, around 65 million people suffer from moderate to severe COPD and it is estimated to be the third leading cause of death by 2030. The prevalence of the condition is 3.49% in India and it accounts for about 5,00,000 deaths caused by chronic respiratory disease in the country. India has a huge burden of COPD with various risk factors and comorbid conditions. People suffering from the condition experience breathlessness, wheezing, and chest tightness. COPD develops gradually and worsens over time. The disease may not show any symptoms in the early stages. Early prevention and treatment can help relieve symptoms of the condition, prevent serious lung damage and respiratory problems, improve the quality of life and reduce the risk of death. 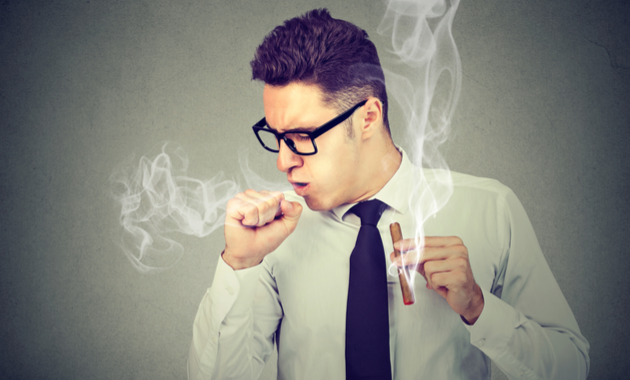 Tobacco smoking is one of the most important risk factors for COPD. According to the American Centre for Disease Control and Prevention (CDC), smokers are 12 to 13 times more likely to die from COPD than non-smokers. COPD in smokers is mainly attributed to an accelerated decline in lung function. The more you smoke, the higher is the risk. Moreover, long-term exposure to passive smoking (secondhand smoke) can also increase your risk. In rural India, smoking also accounts for the use of non-conventional forms of tobacco such as hookah, bidi, or chillum. 3. Have a history of pulmonary tuberculosis. Tuberculosis (TB) may put you at a high risk of developing COPD. This is because TB leads to permanent scarring of the lung tissue even if you have been treated for it. It can also lead irreversible widening of the airways and thickening of the airways, thus causing impaired lung function. A 2017 study published in Lung India quoted that people with a history of TB were thrice more likely to suffer from COPD. Moreover, it also revealed that the association was more in people who never smoked and were above 40 years of age. This means, even non-smokers with a history of TB are at a high risk for the condition. 4. Are exposed to pollution. The role of outdoor air pollution in causing COPD appears to be small as compared to cigarette smoking. However, if you are exposed to indoor and outdoor pollutants for a long time, then the risk increases. Indoor air pollution includes particulate matter from the smoke produced during cooking and heating, poorly ventilated kitchens, burning of biomass (mostly in rural areas) or use of mosquito coils. Exposure to environmental pollution such as vehicular emissions, industrial emissions, is associated with decreased respiratory function and increased risk of the disease. Protect yourself with Respirator Masks. Buy now!! 5. Are exposed to chemicals as an occupational hazard. Research studies have shown that occupational exposure to chemicals and dust can up the risk of COPD, even in non-smokers. The long-term exposure to industrial gases, chemicals and bust can irritate and inflame the airways and lungs, which in turn increase the risk. So for those who work in mining or asbestos manufacturing companies or are into production unit as metal molders or grain handlers, the risk is high. A survey in the US revealed that 19.2% of cases of COPD can be attributed to occupational exposure of pollutants. 6. Are above 40 years of age. COPD develops gradually and the risk increases with age. Generally, people who are above 40 years are considered as the risk group because it is assumed that tobacco smoking, which is the primary risk factor for COPD, begins in adolescence, and it would take 20–25 years of exposure to tobacco smoke to induce characteristic changes in the lungs. Moreover, the lung function keeps improving until early adulthood and subsequently undergoes a natural physiological decline as you hit 40. However, in recent times, exposure to indoor air pollution may begin from infancy or childhood, which is why young adults are likely to develop the disease at an early age. COPD: Symptoms, Causes and Practical Ways To Manage It! Top 20 Smoking Myths Busted: No More Excuses To Quit Smoking! 1. Rajkumar P, Pattabi K, Vadivoo S, et al. A cross-sectional study on prevalence of chronic obstructive pulmonary disease (COPD) in India: rationale and methods. BMJ Open. 2017 May 29;7(5):e015211. 2. Silva GE, Sherrill DL, Guerra S, Barbee RA. Asthma as a risk factor for COPD in a longitudinal study. Chest. 2004 Jul;126(1):59-65. 3. Mahmood T, Singh RK, Kant S, Shukla AD, Chandra A, Srivastava RK. Prevalence and etiological profile of chronic obstructive pulmonary disease in nonsmokers. Lung India. 2017 Mar-Apr;34(2):122-126. 4. Koblizek V, Novotna B, Zbozinkova Z, Hejduk K. Diagnosing COPD: advances in training and practice – a systematic review. Adv Med Educ Pract. 2016 Apr 4;7:219-31.
metabolic syndrome: Consequences of a dual threat. Indian J Endocrinol Metab. 6. Health Effects of Cigarette Smoking. Smoking and Tobacco Use. Centre for Disease Control and Prevention (CDC). 8 Signs Of Dehydration Everyone Must Be Aware Of!